Stéphane GARNIER, director, and his entire team are pleased to welcome you to the Ibis hotel in Ciboure. 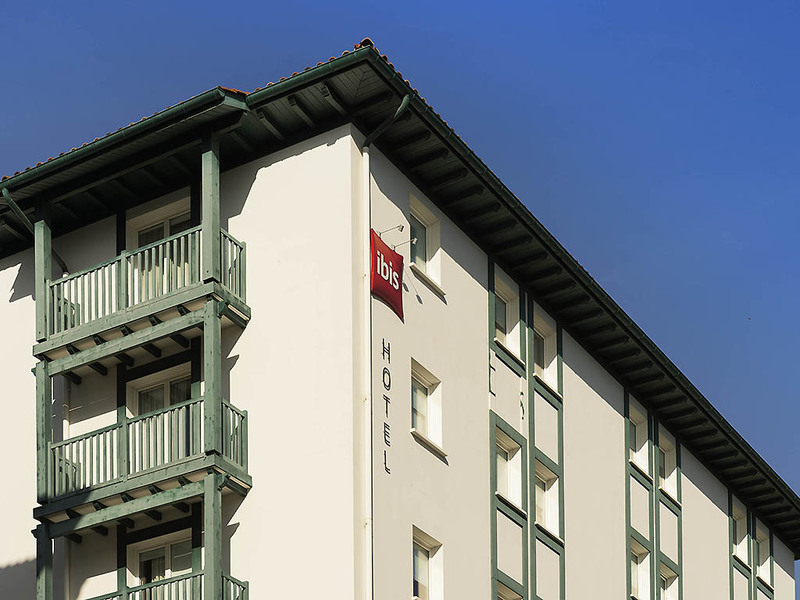 The Hotel Ibis is ideally located in the center of Ciboure, a typical Basque town, and is just a 10-minute walk from the center of St Jean de Luz and Place Louis IV. Sights include the Maison de l'Infante and the church where Louis XIV was married. The be ach is a 15-minute walk away. 72 air-conditioned poppy style bedrooms are available for booking. A bar serving snacks is open 24 hours a day. Private paying indoor car park. Located in the heart of Ciboure, a typical Basque village, separated from Saint-Jean-de-Luz by the River Nivelle. Just a 328-yard (300-m) walk from Saint-Jean-de-Luz city center. Close to the city center and the beach.